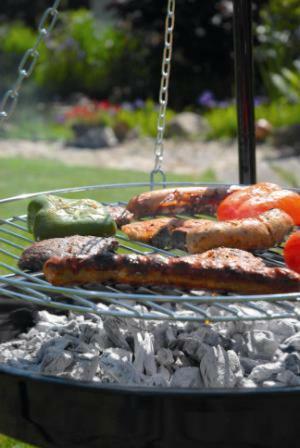 Have lots of fun with this suspended cooking grill BBQ. You can use the grill over an open campfire or use the fire bowl included. 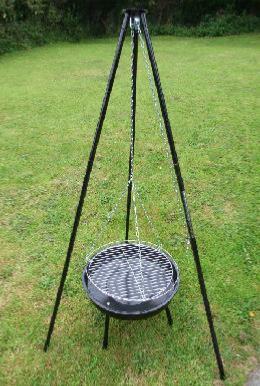 Adjustable cooking height of the large 50cm cooking grill makes it east to BBQ without burning your food. 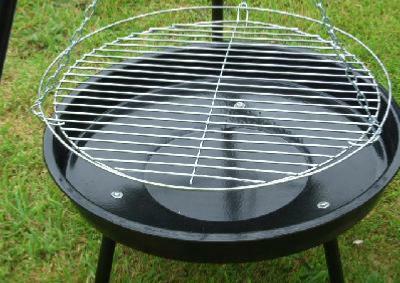 A fire pit and a BBQ designed in Germany from Landmann at a great price. Have a campfire and cook over the embers without burning the grass. Chain for Height Adjustment .